The Bahrain Economic Development Board is inviting Indian firms . by providing "a plethora of opportunities to Indian fintech firms for open banking, blockchain, crypto assets, robo advisory and remittances," The Economic Times reported. Bahrain's Central Bank recently published regulations for digital assets, which made the country significantly crypto-friendlier than India, where the government is still mulling over cryptocurrency regulations. Bahrain Economic Development Board (EDB) senior manager Dalal Buhejji said: "Central Bank of Bahrain has put in the right ecosystem to support growth and innovation. We have seen different new regulations coming out recently to support open banking, crypto asset trade regulation and draft regulation on robo advisory." Central Bank of Bahrain has put in the right ecosystem to support growth and innovation. We have seen different new regulations coming out recently to support open banking, crypto asset trade regulation and draft regulation on robo advisory"
As the public agency responsible for attracting investment into Bahrain, the EDB has been collaborating with the Indian government on a number of business areas as well as improving the conditions of Indian workers in the Gulf state, the publication detailed. The EDB has established offices in New Delhi and Mumbai. Noting that India is a key market for his country, Buhejji said that the board held a roadshow in Mumbai to attract fintech companies in December last year. She added that Bahrain acts as the test bed for innovations, in the financial services, as the country provides many advantages, including, low cost of doing business, right accelerator and incubators, among others. 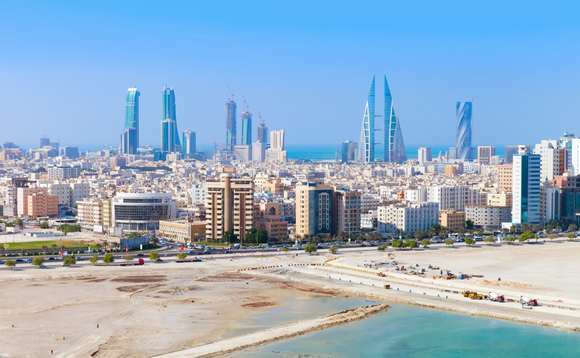 To promote startups, a public private partnership platform in the name of Bahrain Fintech Bay has been created that provides physical space for fintech companies. Established last year, it has now become a home for 36 companies from 15 different countries, Bahrain Fintech Bay CEO Khalid Saad said. "India is absolutely key market. We do have couple of companies founded by Indian entrepreneurs in Bahrain and the other Malaysian-Indian company in the cryto asset space," he said. In late 2018, the Reserve Bank of India banned every commercial bank in the country from providing services to cryptocurrency businesses, cracking down on the local crypto exchange market.